If you suffer from , you're probably aware that common food allergens—like peanuts, dairy, and seafood—can trigger an eczema flare. But food sensitivities can go beyond the obvious list to seemingly healthy diet staples you haven't yet given up. Nutritionist Karen Fischer, author of , who has spoken on the top food triggers for eczema, or "the itchy dozen," shares her on Eczema Life, and some of the food triggers are quite surprising. She cites for identifying why "these foods could be the reason your skin is dry, flaky, and incredibly itchy." Fischer has used her particular list of no-no foods to help people who've suffered from eczema for 20 to 40 years finally achieve . Keep scrolling to discover three surprising foods we've highlighted. Avocado: If eczema is a problem for you, you may want to hold off on that avocado toast. "While avocado is a healthy addition to your diet when you don't have eczema, avocado is one of the richest sources of amines and itch-promoting salicylates," says Fischer. Broccoli: This superfood might come as a big surprise. 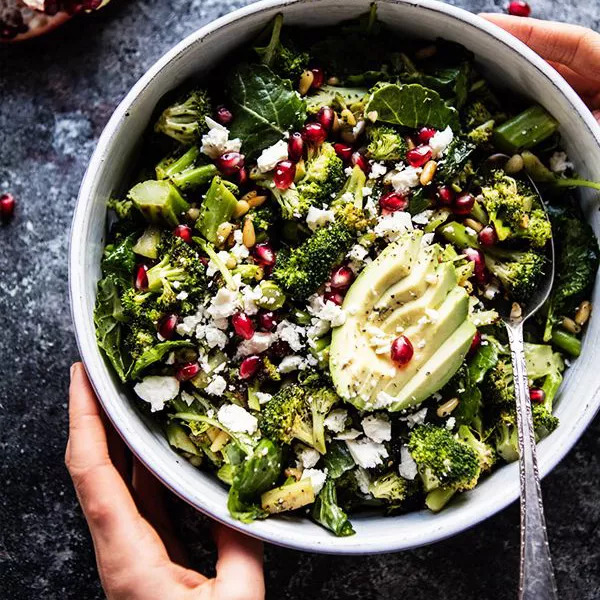 "Broccoli, spinach, silverbeet, and kale can worsen eczema symptoms," says Fischer, due to their being rich sources of itch-promoting salicylates and amines. Instead, Fischer suggests getting your greens from celery and green beans. Dried fruit: This snack hosts a range of "problematic chemicals," says Fischer, including salicylates, amines, MSG, and sulfites. Before sharing her list on Eczema Life, Fischer notes that every person reacts differently. One of the food triggers above could cause a bout of itching in one person and leave another entirely fine. Tune into your body's signals to take note of particular ingredients you begin to associate with setting off your skin's discomfort. Keeping a food journal could help you identify areas of your diet that could use a tweak. Use Fischer's list as a guide, but listen to your body for the right eating plan for you.